Development finance is a viable short-term funding option for many types of property projects, from regulated self-builds to the construction of multiple units for profit. The funds of a development loan can be used to purchase and build on previously undeveloped land, to renovate existing properties, or to convert currently uninhabitable buildings (such as disused barns and churches) into family homes or office spaces. Given its suitability in so many types of projects, development finance is used by many different types of people: property developers, large companies, small and medium-sized enterprises, private individuals (seeking a profit) and self-build enthusiasts. In some scenarios you can borrow 100% of the funds you need, whether that is the purchase price, the project costs, or both. Why choose an alternative lender over a bank? A development loan from an alternative lender can often be arranged much more quickly than a development loan from a bank or building society. Put simply, development finance is often part of an alternative lender's core business offering, as opposed to simply an add-on to a mass of other financial products. 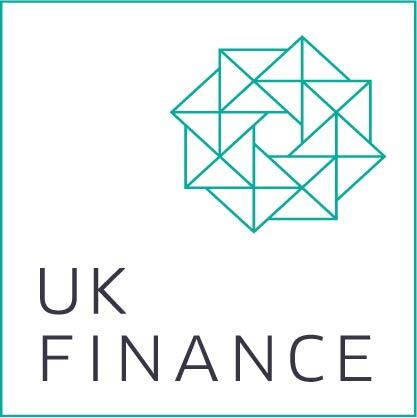 Certain types of development finance, such as self-build, can only be provided by a lender that is authorised and regulated by the Financial Conduct Authority. A turnaround of between one and four weeks is not uncommon if you go through an alternative lender, and if necessary your first ‘stage’ of funding can be prepared and released to you within a matter of days. As such, taking out a development loan from an alternative lender is an extremely popular option among borrowers who are particularly pushed for time or have been let down by their bank at the last minute. The last five years have seen a sharp increase in the number of alternative lenders entering into the development space. If your application is successful and the lender agrees to fund your project, they will draw up an offer letter that fully details the terms of the proposed finance. How and when will I receive the funding? Once you have signed the necessary documents and legal due diligence has been completed, your development finance will be released to you in several ‘stages’ (the dates and amounts of which will be agreed with your lender). You will not receive all of the funds at once, because this would be riskier for both you and your lender. Your lender will normally require that its loan-to-value (LTV) ratio will not be above a certain percentage - e.g. 70%. The LTV ratio is the amount of debt secured against a property, divided by the value of the property at a particular point in time, multiplied by 100 (Debt / Value x 100). For example, if you take out £250,000 of development finance to fund 100% of a self-build project, your lender will break the process down so that you receive the funds in several stages - perhaps five stages of £50,000. Before each stage of the finance is released to you, your lender will normally arrange for a surveyor to re-inspect the progress of your project. Your offer letter should state this clearly and make reference to the cost of the re-inspections. Receiving your finance in stages gives both you and the lender more security. If you were given all of the funds at once but there was a delay with your project, you would still have to pay the interest on the entire loan. Instead, you should only pay interest on the monies you actually draw - so if you had to pull out of the project after the second stage of funding (at which point you will have received £100,000 of the £250,000), you should only pay interest on the £100,000 you did receive. How do I repay a development loan? Development finance is a flexible borrowing option, so most lenders offer between 12-month and 18-month repayment terms, and normally there is no minimum term. If you are building more than one unit (e.g. five houses), discuss with your lender - before entering into the contract - how you will repay the loan in various stages (known as part redemptions). This is important, as it is unlikely that you would refinance and/or sell all five houses on the same day, so you will need to ensure that the lender will work with you to release single houses from its security when the time comes. Most lenders will want to receive a certain amount of money from each sale/refinance to ensure that its loan to value ratio remains at an acceptable level. How much interest will I pay? What are the fees and charges involved? Overall cost, overall cost and overall cost. This cannot be emphasised enough, because it is not all about headline rate. Most lenders charge a monthly rate, which can range from 0.75% to 2%. It is normal for there to be an arrangement fee of 1% to 2%. There can also be an exit fee - this can vary as some lenders may charge an exit fee based on the loan amount but others may charge an amount based on the percentage of the gross development value. Therefore, a transaction at 1.25% per month, with an exit fee of 1.25% of the total loan, may in fact be cheaper than a transaction at 0.75% per month, with an exit fee of 1.50% of the gross development value. To ensure you understand the overall cost, you should seek appropriate overall financial advice. As the finance is released in stages, interest should only be charged on monies actually drawn. Development finance was used to rescue a self-build project on Channel 4's Grand Designs. In the episode, which was first aired in September 2014, Steve and Tracy set out to build their dream home in southeast London: an ‘Urban Shed’. The couple had already sold their existing home for £900,000, and had bought the land on which to build their Urban Shed for £400,000. They used £200,000 of the house-sale fund to pay off their mortgage, which left them £300,000 for the project. Unfortunately, the couple could not find a contractor to build the Urban Shed within their £300,000 budget, so the project was derailed for almost a year. Once they eventually found an affordable building firm, more problems arose: it became apparent that they would have to dig down further into the ground than planned, which meant paying to have the drains repositioned for five surrounding houses. Despite their best efforts, Steve and Tracy had to increase their budget somehow. This is where development finance came in. The couple took out a £200,000 development loan to cover their new costs and any more expenses that might arise. As a result, they were able to finally complete their ambitious vision. Without the quick turnaround of the development loan from Affirmative, Steve and Tracy may not have got the project back on track.